But if you sign up before Tuesday you can keep the $10 per month rate. Since its launch two years ago the YouTube Red setup has been bundled with Google Play Music for a $10 per month fee, but that changes starting next week. 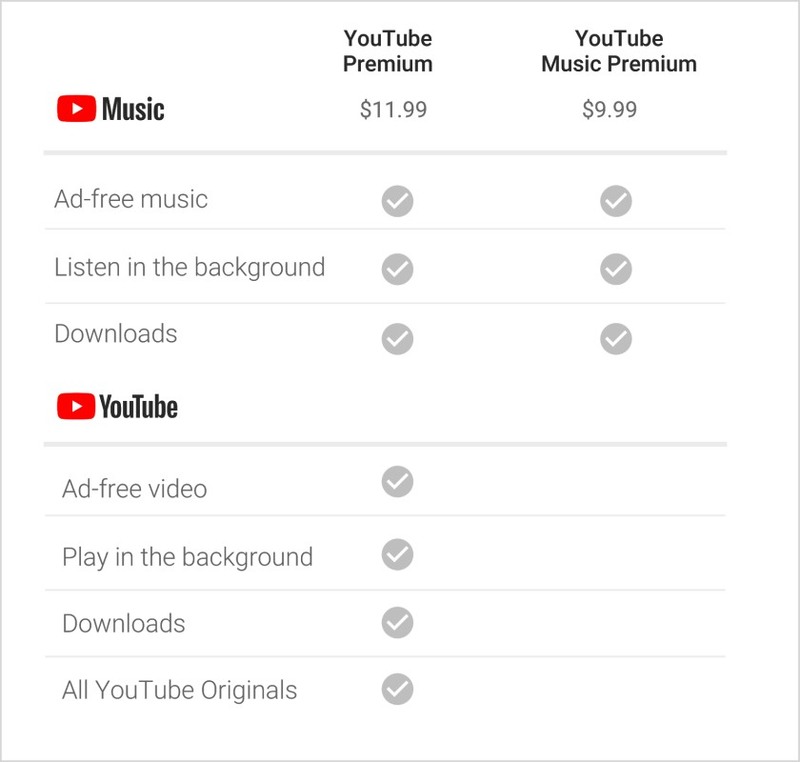 As of May 22nd, it will become YouTube Premium which is a $2 add-on above the new YouTube Music Premium subscription. It brings all of the access to original series and movies plus access to YouTube that's ad-free with background play and downloads. The features aren't really changing, just the pricing structure. Current subscribers will keep access at their existing price (for now), so even if you don't have it yet, you could sign up before Tuesday at the $10 per month rate in countries where Red is available. YouTube Premium will launch in United States, Australia, New Zealand, Mexico, and South Korea, with Austria, Canada, Denmark, Finland, France, Germany, Ireland, Italy, Norway, Russia, Spain, Sweden, Switzerland, and the United Kingdom "coming soon" before other markets follow throughout the year.